FEATURES/SPECS Busy executives and professionals can never hand out too many business cards. Make sure you're good to go wherever you go with this genuine leather card case. Holding up to 20 business cards or up to six credit cards, it's a perfectly practical gift for men and women climbing the corporate ladder. Available in Brown, Black or Red. 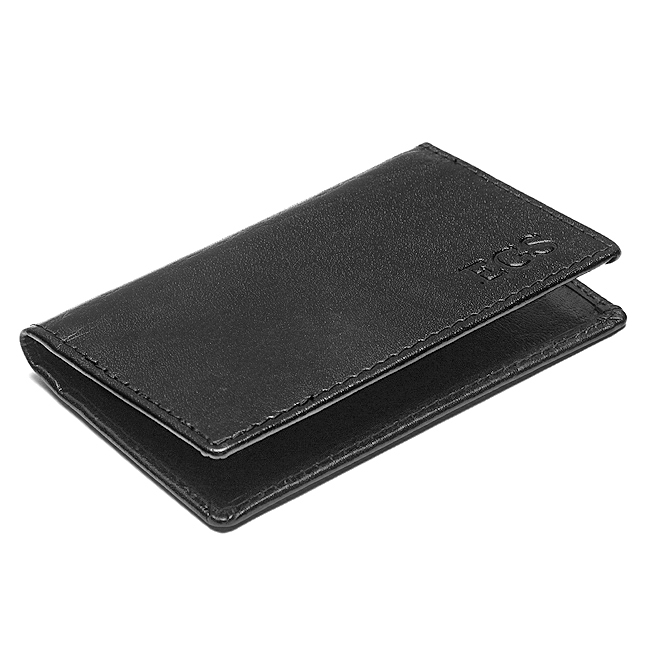 Whether for yourself or a friend, this top grain napa leather case can be embossed with three initials free of charge. 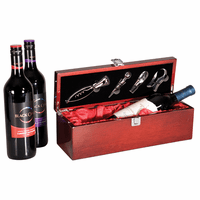 Elegantly gift boxed. Next day shipping in most cases makes this one of the best last minute gifts you can find. Dimensions: 2 3/8" x 4 1/4" x 1/2"
Hello, I'm interested in purchasing about 50 business card holders for my employees, but want to personalize each one (50 holders, 50 different sets of initials). Is there a bulk purchase option with different personalizations? The best way to do it is to add the 50 card holders to the shopping cart with just one set of initials, so you can choose a font and size it the way you'd like. In the comments section of our checkout page, let us know that you'll be emailing over the remaining 50 initials. Then you can reply to our order confirmation email with your list of initials in a spreadsheet or word document. 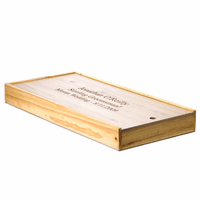 We'll make sure that each case is engraved with a different set of initials but matches the font and size you chose. Please let me know if you have any questions at all. Is there any Duty chargeable on shipping to Canada? Yes, sorry, you would be responsible for any tax and duties that Canada charges. We can ship this card holder the day after you order it, even with personalization. If you choose Next Day Air as your shipping method, you'll have it in hand the day after it ships. We offer a wide variety of shipping methods at checkout. Is personalization imprinted or embossed? 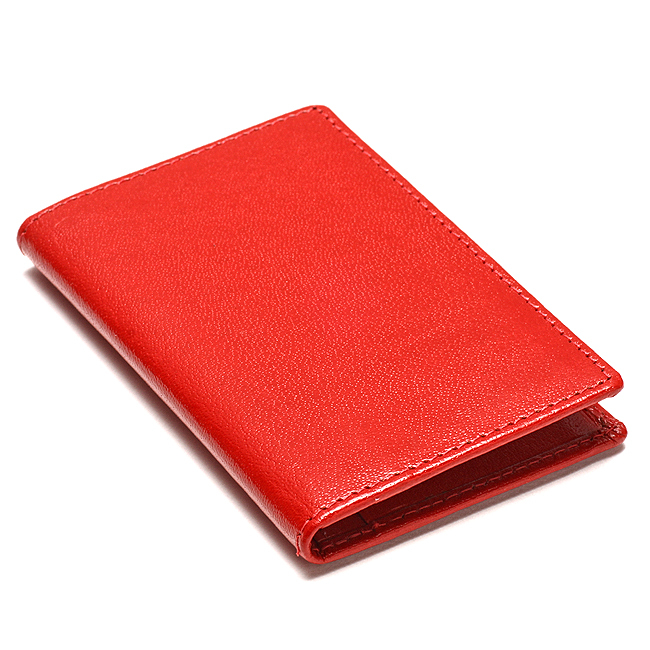 The personalization is embossed, or hot stamped into the leather. It produces a deep, branded effect. will this fit in a shirt pocket? Yes, it will fit in a shirt pocket. It is 2 3/8" wide by 4 1/4" long so it may peek out a tiny bit at the top, but not much if anything. 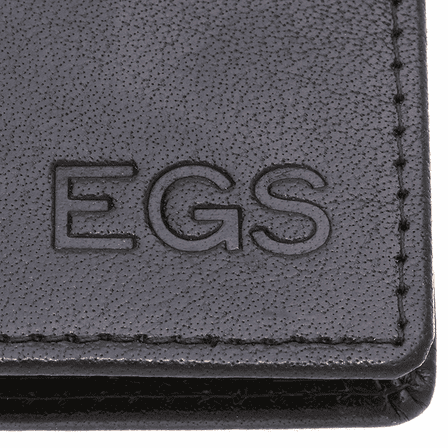 Could we get this holder embossed with the following.."The Best is yet to come..."
No, I'm sorry, we can only emboss up to 3 letters on this card holder. The letters are fairly large so any more than that doesn't look right. We can, however, emboss a logo or image if you're ordering 15 pieces or more. For your situation, would you have the text above in an image format? Is there any way of getting a company logo put on this product? There is, but there is a 15 piece minimum order. Would you need that many? If yes, email us at help@executivegiftshoppe.com with a copy of the logo in black and white adobe illustrator .eps format and we'll get a proof emailed back to you. I shopped all around looking for this item and found it here. It was exactly what I wanted and a great price! I love the personalization with the initials. I�€™ve been very satisfied. ProsVery durable and reasonably priced! Excellent card case for the price with the personalized engraving. Just wish one could get 4 letters! 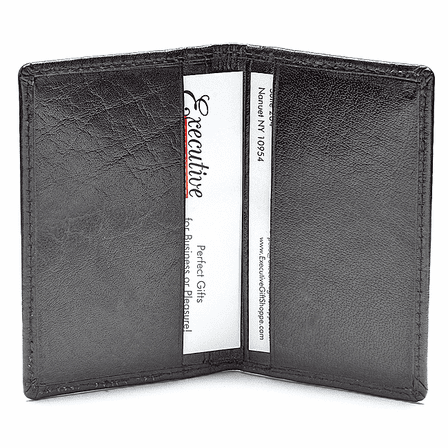 Leather case is perfect for carrying business cards with you to meetings or travel. Lightweight but durable. Case is for personal use. Have had it for a few days. Nice workmanship, the embossed initials give it a great touch. Hope to have years of service. Item came quickly and was made of good quality materials. ConsIf just for business cards could be on the larger size. Had been looking for something I had earlier that was slimmer. Any ways it works and is good. I bought this for my fianc with his initials on it. 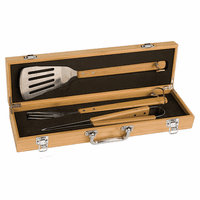 This is a quality, affordable item and arrived very quickly. He loved it. Nice quality leather. I have heavy rounded edge business cards and gradually trained the leather and now keep four in each side. Did the same to stretch and soften the credit card slots for possible future use. Stamping of initials is well done and classy and is FREE. It came in two days and it is exactly what I need! Real leather and what a beautiful red! 10/10 from me! ProsGood stitching and quality leather. This was the second time I purchased this wallet. The first one lasted 10 years. It holds two credit cards, a bank card, a library card, Car2Go card, health insurance card, and onw or two other cards. Fits in my front jeans pocket, and looks good. Can't go wrong. Great item. The trio of initials are deep and palpable. Clear font, rich black real leather (with new leather smell). The holder has 2 slots per side, and I imagine once I "break it in" I'll be able to fit more cards in (holds maybe 20 thick cards as a first fill in the new case?) I purchased in bulk and had >50 separate sets of initials to supply. Customer service was awesome, and all the holders arrived in lightning speed! Highly recommend. Needed a "business card holder" for my husband. looked in the coach store but they had nothing! This was the perfect gift. The reviews for this company were so positive i didn't hesitate to purchase. I was totally satisfied. good quality leather. his initials look great. i will use this company again for sure. 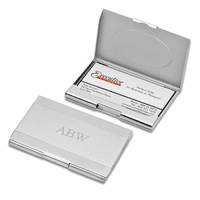 Business card holder is professional and is a quality product. Price is very reasonable. 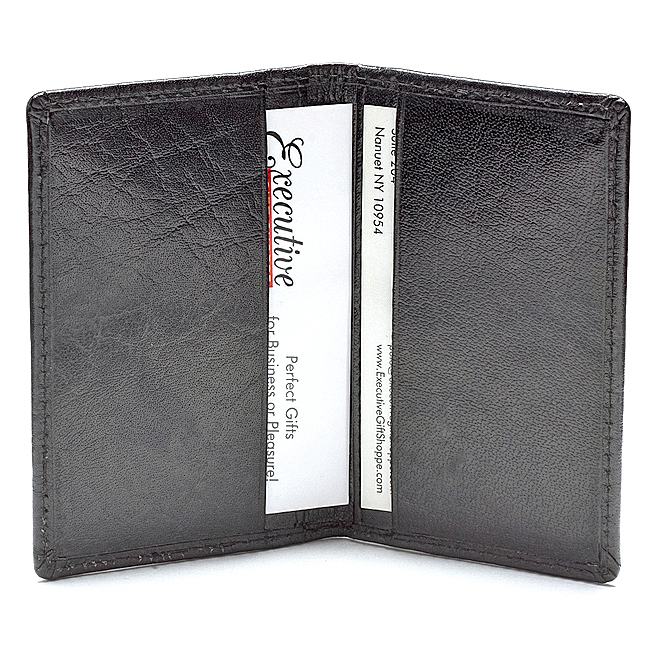 Recommend the purchase to anyone who is looking for a leather business card holder. The leather looks a little plastic like but I think once it gets worn in, it will look better. Appears very fresh upon arrival. I love the monogram - great personal touch. This case only holds about 8 cards total - not a lot if you're going to a conference or networking event. I ordered this for my police officer husband. The quality is great, it's not heavy and bulky like steel holders, but it's of good quality leather and durable. 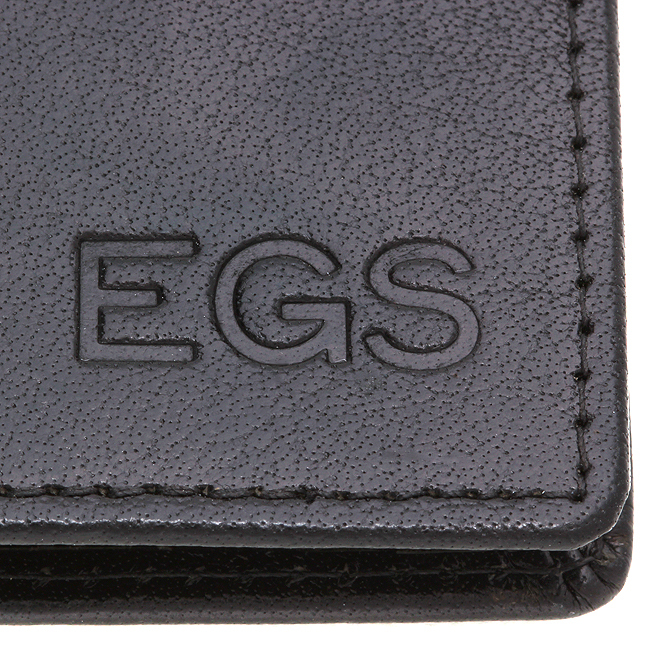 The business card holder is very nice, high quality leather, nicely embossed initials. Shipping very prompt. Great shopping experience! I use this as a thin wallet to carry a few credit cards, ID cards, and some cash bills. Works well. Would also be a great card holder. Real leather--leather smell, good stitching, initialing was nice. Recommend. 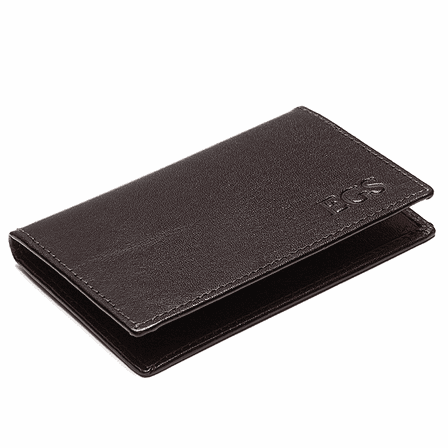 I had been looking for a leather business card holder. I bought this only based on price thinking that as it was under $25 it would be no big deal if it wasn't what I wanted. When I received it in the mail, I was most pleasantly surprised. The quality, look and feel are outstanding. Buy with confidence. i am impressed with the quality of this reasonably priced pocket business card holder. This card case is great. The card case is very well made, the personalization is crisp. I use it as a wallet, it has two pockets per side to help keep my cards organized. ConsWith the two pockets per side, it is slightly thicker than I expected. Very pleased with this business card holder. The leather is nice and the embossing is very well done. Very impressed with the processing time. I ordered this on Dec. 17 and received it on Dec 22. I am very happy with this company. I ordered this on Sunday and received it on Tuesday and it was Personalized! How did they do it so fast!! The lettering is perfect. I would use this company again. It is refined, elegant, and classy! Convenient, practical and fits in one's pocket, very, easily!!! I bought this to use it as a "night out" wallet. I hold a couple of credit cards, my ID and some cash in it. It is perfect for what I use it for. I also had it personalized with my initials and they look great. They are branded right into the front. Highly recommend.